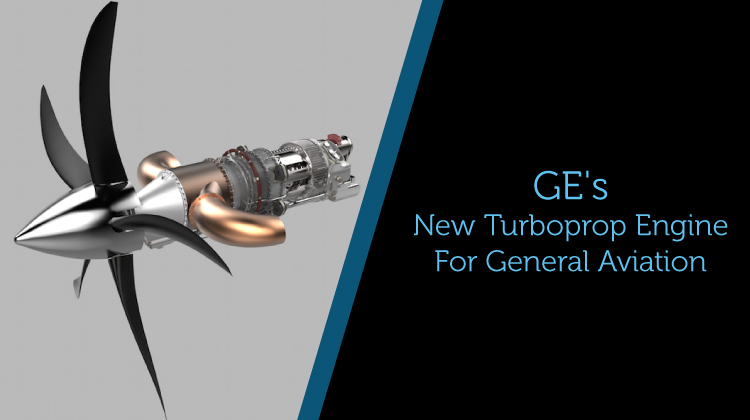 Is GE’s new turboprop engine for general aviation important? We think so, and we really can’t understate how important it is to know more about it. We think it will revolutionize turboprop flight. Let’s start with a few basics about the new engine. The engine weighs 400 pounds and is an H series engine. We measure turboprop output in shaft horsepower. The new H engine provides 850 horsepower to the propeller. The engine has a pressure ratio of 16:1 (a result of cooled turbine blades and a multi-stage turbine engine). Most commercial engines are in the 9:1 or 10:1 range. GE promises a lower fuel burn than the competition (20% lower) and is a more powerful engine (10% more powerful). This is possible because the engine is computer controlled and the prop has an electronic propulsion control system. Where will the new engines find a home? GE designed the advanced turboprop H Series engine for use in agriculture, business and in commuter planes. The designers wanted to create an engine with more reliability that required less maintenance than other engines designed to drive propellers. The new H Series engines exhibit these traits particularly well at high altitudes and in intense heat. GE expects the first craft to use the new engine is the Nextant G90XT, a business aircraft that GE expects to fly with the new engine before the end of this year. The Thrush 510G cropduster is next in line for the upgrade to the EEPC H Series engine. The EEPC H Series engine is the agricultural and business industries first-ever electronic engine propeller control system. It has full automatic start as well as single lever pilot control over propellers and the engine. What’s so new about this turboprop engine? The newest thing about the latest Series H engine is the Electronic Engine Propeller Control (EEPC). The EEPC combines the engine and propeller functions into one single-lever controller for the pilot. This decreases the pilot’s workload. It also extends engine life by improving calibration connecting the engine RPM and the propeller rotation which eliminates damage. Pilots in the business/aviation general category have two controllers now: a propeller lever and a throttle. 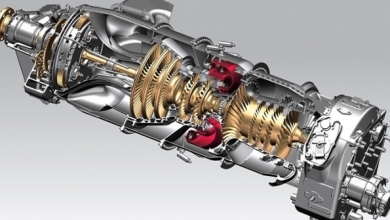 The new advanced turboprops will have the single controller that optimizes speed, pitch, and the engine itself. It does this in three modes: take-off, descent, and cruise. What’s so new about the new planes? In this case, the term “new” might be a bit of a misnomer. The packaging concept is new but the parts that go into the package are not. What GE is doing is taking technologies from other GE engines with a billion flight hours on commercial flight craft. They are putting those parts together with different architectures from other engines to create the new platform. For instance, the advanced turboprop engine’s in commercial power plants has 150 billion hours in aerodynamics testing. The CT7 engine turboprop and turboshaft engines power 25 kinds of helicopters and fixed-wing aircraft in 50 countries. These engines have more than 100 million hours of flight time, 5 million hours in mostly hot and inhospitable climates. The new turboprop engine takes the compressor from the CT7. What is a major difference between commercial overhaul rates and business/general aviation overhaul rates? We can quantify a major difference between the sectors in the maximum: Fewer flight hours, shorter time to overhauls. Engines in commercial craft run for about 20,000 hours, maybe more, before they need overhauled. In the business/general aviation sector, engines stay on wing for about 3,500-5,000 hours. GE expects the new advanced turboprop engines to increase flight time between overhauls by about 30% (almost 1/3). This is something never seen before in the business/general aviation sector. To talk more about this, or anything else, please contact us. Let us connect you to passengers looking to travel anywhere in the world.